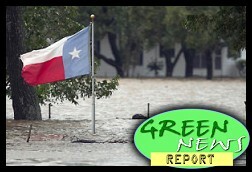 " Articles in Category: Harris County	"
IN TODAY'S RADIO REPORT: Hurricane Harvey's toxic legacy much worse than publicly revealed; EPA Administrator Scott Pruitt gives another gift to the U.S. auto industry; PLUS: Massive omnibus bill has surprisingly good news for national parks, firefighting, and a tiny village in Alaska... All that and more in today's Green News Report! 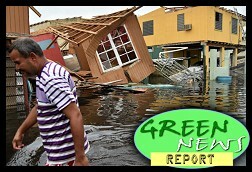 IN TODAY'S RADIO REPORT: Calls grow to accelerate aid for humanitarian crisis in Puerto Rico after Hurricane Maria; Adding danger to desperation, major Puerto Rican dam now at risk of total failure; Good news and bad from toxic Superfund sites flooded by Hurricane Harvey in Texas; PLUS: Unusually warm ocean fueling record Atlantic storm season... All that and more in today's Green News Report! 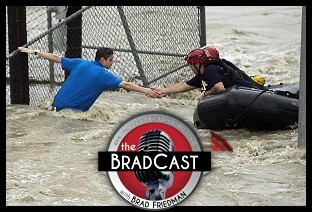 IN TODAY'S RADIO REPORT: Widespread devastation in the wake of record-breaking Hurricane Harvey; Officials warn the hardest work is just beginning; Explosions rock flooded Texas chemical plant; Trump revoked flood prevention reconstruction rules; PLUS: Looking ahead, looming battles in Congress over disaster relief and flood insurance... All that and more in today's Green News Report! Catastrophic flooding from Harvey continues today, as an all-time continental U.S. record of nearly 52" of rainfall has been recorded, two of Houston's reservoirs have over-topped their dams, a levee has been breached South of Houston, thousands of rescues continue, tens of thousands are stranded in their homes and in shelters, and we are still days away from the water receding. It's difficult to explain how much water has fallen. As noted on today's show, generally speaking, one inch of rain equals one foot of snow. So, if this were snow, it would be 50 feet deep in some places! Seth Borenstein at AP reports "By the time the rain stops, Harvey will have dumped about 1 million gallons of water for every man, woman and child in southeastern Texas." Already, as of Tuesday, he notes, "15 trillion gallons of rain have fallen on a large area, and an additional 5 trillion or 6 trillion gallons are forecast by the end of Wednesday...That’s enough water to fill all the NFL and Division 1 college football stadiums more than 100 times over." DAVID ROBERTS, environment, energy and politics journalist from Vox.com, joins us to discuss the ongoing disaster --- the type of which he has been warning about for more than a decade --- and what we know and don't about the effect of climate change on this storm and its unprecedented rainfall. We discuss the failure of infrastructure officials, in Houston and elsewhere around the nation, to take appropriate measures to help mitigate, much less adapt to, a quickly changing climate that scientists have long warned will become more and more destructive thanks to the continuing man-made emissions of greenhouse gases from the burning of fossil fuels. "Take climate change completely out of the equation, you still have a Gulf Coast that's subject to these mega-storms every so often, and is planning terribly for them," he notes. "In your Floridas, your Miamis and Houstons, they're just building everywhere they can, and they are all --- institutionally, by habit and by law --- extremely biased in favor of developing, including in these vulnerable areas." Will the destruction of Harvey finally force officials to take appropriate action? "These disasters seem like a time --- which are very rare in the U.S. these days --- when we set our petty squabbles aside and come together to help people," observes Roberts, before wondering: "What's going to happen when these kinds of crises are striking different regions of the country regularly? Or every year? Or multiple cities at once, as climate exacerbates all this and makes all these disasters worse? I wonder how our capacity for empathy is going to keep up." We also discuss some new revelations regarding Exxon's decades long private knowledge and public denial of global warming, and Energy Secretary Rick Perry's recently commissioned Energy Dept. study on the effect of renewable energy on the power grid and its relationship, if any, to hastening the demise of the coal industry. 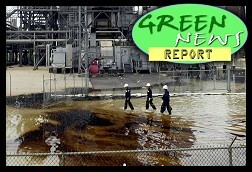 Then Desi Doyen joins us for Green News Report special coverage of the Harvey disaster and, speaking of Exxon, news of refinery shutdowns and toxic petrochemical spills amid the flooding at two of its units in Houston. 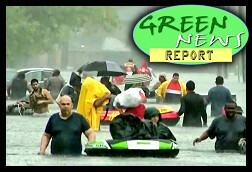 IN TODAY'S RADIO REPORT: 'Green News Report' Special Coverage: Hurricane Harvey causes long term, widespread devastation across Houston and Southeast Texas... All that and more in today's Green News Report! As unprecedented rains from Hurricane Harvey continue to overwhelm Houston, Texas and surrounding areas with as much as 50 inches of catastrophic flooding, the storm is now moving slowly back into the Gulf of Mexico, where it may regain strength for a second landfall on the Texas/Louisiana border. Rainfall is likely to double between now and the end of the week. 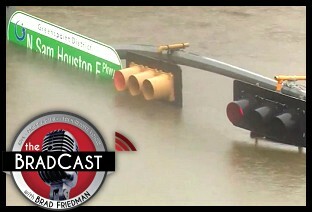 My producer and Green News Report co-host, Desi Doyen, a Texas native, joins me to discuss why evacuation orders weren't issued for Houston, before we go on to review the years of warnings about this very type of event amid the recent population boom in Harris County (Houston), the nation's 3rd most populous county. As it turns out --- as revealed in an excellent and detailed investigative report published by The Texas Tribune and Pro Publica late last year --- the County's 18-year flood manager aggressively dismissed those warnings for years and marginalized the scientists repeatedly offering them. All, while denying the threat of over-development and destruction of flood-mitigating wetlands, poor (and poorly enforced) flood mitigation regulations, and the ever-increasing devastation of such storms due to climate change. Also today: the "uncharted territory" of the President of the United States issuing a pardon to notorious Maricopa County (Phoenix) Sheriff Joe Arpaio --- even as the Category 4 hurricane was bearing down on Houston late Friday night --- after Arpaio was convicted for contempt of federal court orders. Arpaio had, for years, unlawfully and unconstitutionally profiled Latino-looking residents in defiance of the Court. But much of what else he did during his reign of terror as Sheriff was far worse than that, as the Phoenix New Times had long reported, and as we also detail today. Even more troubling, however, is the intended message of Trump's pardon to both law enforcement officials, the federal judiciary and the Constitution itself.